Pu-erh is fermented with sun-dried large-leaf tea (Maocha) from mountainous areas in Yunnan, China. Our expert team specializes in selecting quality tea among common teas. 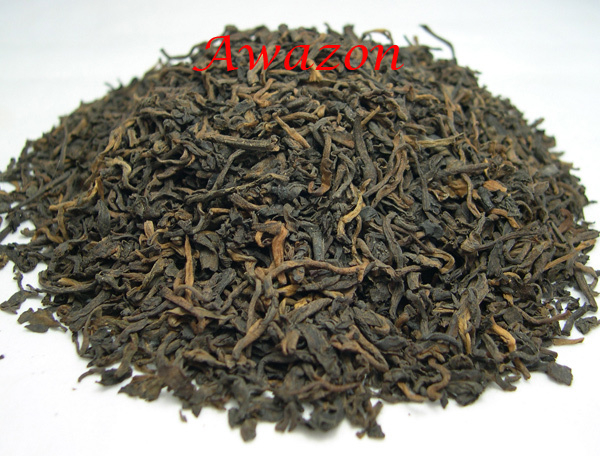 This is a product of 2012,using raw material (Maocha) from Lincang area in Yunnan province. This is the superfine grade loose Pu-erh and the liquor tastes smooth, mellow and sweet. Scientific studies in China, France and Japan have proved that this tea has lots of medical benefits to human being. It helps reduce body weight and lower cholesterol in the blood stream. Pu-erh is very popular in Europe where it is recognized as a diet aid. How to prepare loose Pu-erh tea in a Congou style? Step 1: Add tea leaves (3g - 5g) to a Yixing teapot or Gaiwan.